The AMERICAN EXPERIENCE production “Last Days in Vietnam,” directed and produced by Rory Kennedy, is now available for streaming via OETA's website and other digital platforms for free through Saturday, February 7. The film, which has been nominated for an Academy Award® for Documentary Feature, will be made available so that Academy members will have an opportunity to view the film before voting closes on February 17, and so the public can preview the film in advance of Oscar® night. “Last Days in Vietnam” will premiere on AMERICAN EXPERIENCE on Tuesday, April 28 at 8pm on OETA. The entire film is available to stream through OETA’s video sites, pbs.org/americanexperience and PBS station branded digital platforms, including ROKU, Apple TV and Xbox. 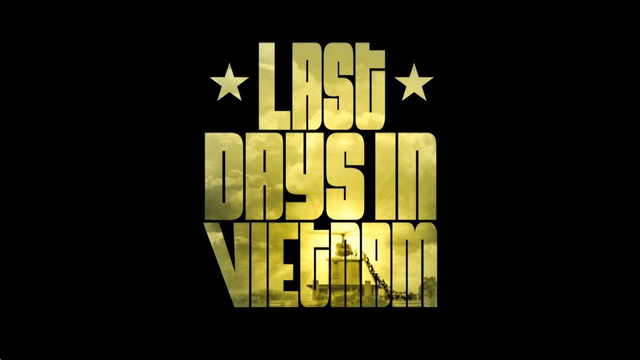 “Last Days in Vietnam” chronicles the chaotic final days of the Vietnam War as the North Vietnamese Army closed in on Saigon. With the clock ticking and the city under fire, American officers on the ground faced a moral dilemma: follow official policy and evacuate U.S. citizens and their dependents only, or ignore orders and save the men, women, and children they had come to value and love in their years in Vietnam. At the risk of their careers and possible court-martial, a handful of individuals took matters into their own hands. Engaging in unsanctioned and often makeshift operations, they waged a desperate effort to evacuate as many South Vietnamese as possible.